Looking to kick back and catch a fresh film this weekend? When it comes to events for film buffs, there's plenty to get you off the couch. From a rare screening of the Coen brothers' "A Serious Man" in 35mm to a workshop exploring the entire film-making process in one day, read on for the weekend's top film events to add to your calendar. This Saturday morning, the Secret Movie Club presents a family matinee of Hayao Miyazaki's Porco Rosso in 35mm. In the film, presented in Japanese with English subtitles, World War I flying ace-turned-bounty hunter Porco Rosso is cursed to look like a pig because he ran away from a fight. When: Saturday, Dec. 8, 10:30 a.m.-1 p.m. 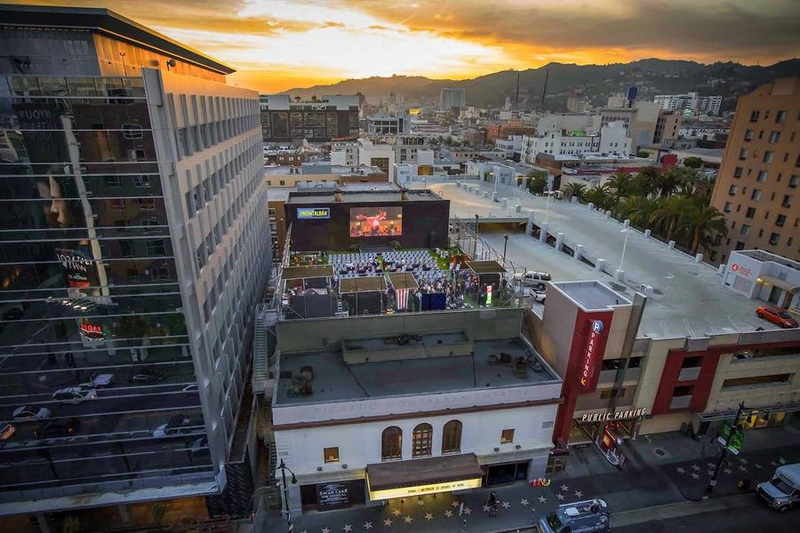 Enjoy the Will Ferrell holiday classic Elf on the rooftop of the historic Montalban Theater. Umami Burger will serve up bites that pair well with craft beers, wine and mixed drinks. When: Saturday, December 8, 8-11 p.m.
Where: The Montalban Theatre, 1615 Vine St.
Catch a midnight screening of the Coen brothers' "A Serious Man." The Secret Movie Club is set to share a rare 35mm print of the film, which portrays the struggles of a Jewish-American family in 1960s Minnesota. When: Saturday, Dec. 8, 11:59 p.m.- Sunday, Dec. 9, 1:59 a.m.
Make a film in a day with MTS Development. This Sunday, the full-day workshop spans the filmmaking process, from pitching ideas and filming to post-production and screening. Attendees are encouraged to bring gear and costumes. All films created will be shown on the big screen at the end of the day. When: Sunday, Dec. 9, 9 a.m.-7 p.m.
Where: WeWork La Brea, 925 N. La Brea Ave.